If you’re a close follower of my blog you may have noticed over the past year that skin care products are being mentioned more and more. A couple of years back I didn’t have a skin care routine, in fact I would hardly even remove my make up (awful, I know). And now I have some what of a skin care obsession. Despite having hundreds of products already taking up room in my bathroom, I keep buying more. (in fact my obsession is so large that I tried to narrow it down to my most reached for products for this post and I still came out with nine products…). Even with my large collection there’s still a few products I find myself reaching for, so here’s my current favourite skin care products. When it comes to cleansers there’s only one I reach for now to take off my make up, REN’s Clarifying Clay Cleanser. Since Simone introduced me to this REN cleanser my skin has been amazing, this wins against all other cleansers hands down. There’s only one exfoilator for me these days, and that’s Liz Earle’s Gentle Face Exfoilator. It’s one of those exfoilators that you can feel working when you’re using it, and you see instant results with. I use this about 3 times a week and I’ve really noticed a difference compared to other exfoilators. I’m somewhat of a face mask addict recently, but there’s still a few that I reach for when my skin is in need of some TLC, one favourite being Origin’s Clear Improvement. This is such a favourite product that this is my second tube of the stuff. This is the best face mask around in my opinion as it just seems to completely clear out my skin of impurities and leaves it feeling a lot softer and cleaner. Another favourite mask involves REN’s Glycolactic Radiance Renewal Mask. 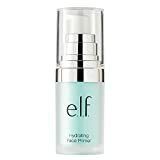 This was another product recommended to me from Simone, and since using it I’ve really noticed my skin looking a lot more radiant and my overall skin tone has improved. And my final face mask favourite would have to be Origin’s Drink Up Intensive Mask. I tend to use this one around 3 times a week (especially during the winter) as I suffer with dry skin and this helps to just hydrate my skin and get it back to feeling normal. When it comes to oils there’s a couple I can’t live without right now. First up is the Trilogy Certified Organic Rosehip Oil which I got in the first BBB Edit Box. I have a lot of acne scars from my awful skin over the years and have found that this has really done the trick on starting to fade them, as well as improving my skin generally. Another oil favourite is from the second BBB Edit Box, the Roger & Gallet Bois d’Orange Huile Sublime. I’ve been using these two oils maybe once or twice a week and just find it really helps to clear up my skin and keep it hydrated, especially during the winter. Another BBB Edit Box favourite (British Beauty Blogger has some great skin care choices!) comes in the form of Philosophy’s Purity Cleanser. Admittedly this isn’t one that I use frequently, but when I do I do find a difference in the appearance of my skin. I also love it because Philosophy products just smell amazing! And last up on the skin care favourites is the DHC Deep Cleansing Oil. I discovered this many moons ago back in a She Said Beauty Box and have found it amazing for removing my make up, especially if I’m wearing a lot of eye shadow. So this has turned out to be a rather long rambily post about my current skin care favourites, probably proving that I have an addiction and need to stop buying more. Do you have any current skin care products that are your favourites?